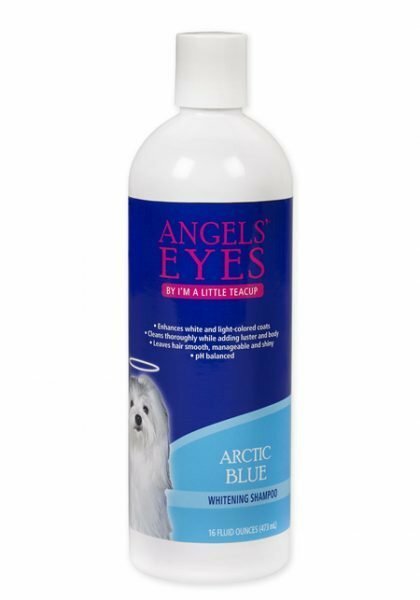 Angels’ Eyes® Whitening Shampoo is an extraordinary, protein and vitamin enriched shampoo that produces brilliant white coats and produces a lustrous sheen on any light colored coats. It cleans thoroughly while adding luster and body to the coat without harsh bleaching. Our Whitening Shampoo controls matting, tangling, and fly-away hair. Its rich lather rinses out easily. Contains natural oatmeal to condition the skin and soothe irritation and is ideal for grooming and coat manageability. Made in the USA.